Attracting Omega to exhibit at this year’s Couture gives the exhibition an anchor brand that ensures press and retailers will get a full return for their investment in attending the show. The company has had a highly significant 12 months leading into 2018 thanks to the opening of a new factory that improves the efficiency, capacity, testing and certification of its Master Chronometer movements. The Master Chronometer first appeared four years ago, and in 2018 will see its 12th and 13th variant hit the market. The scalability of Omega’s manufacturing capability coupled with the flexible architecture of the Master Chronometer movement deliver a rock solid foundation for future growth. 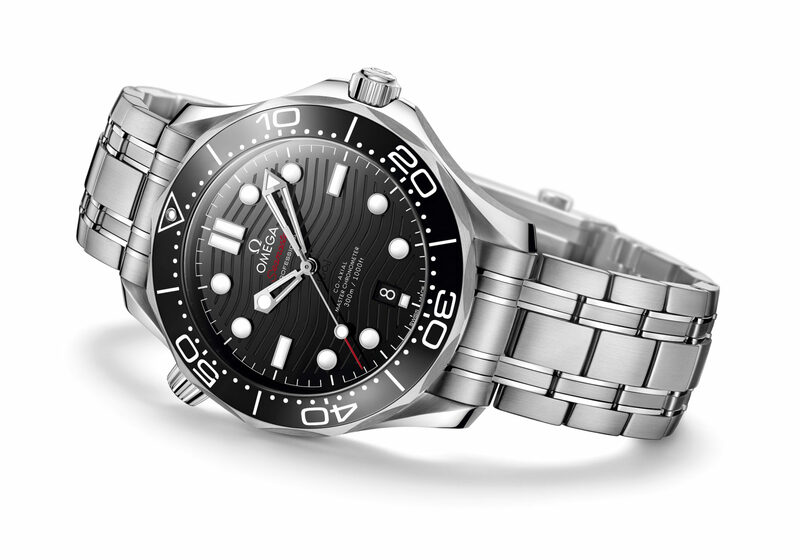 The company used Baselworld to illustrate how this strategic investment translates into product in the form of four Seamaster collections. 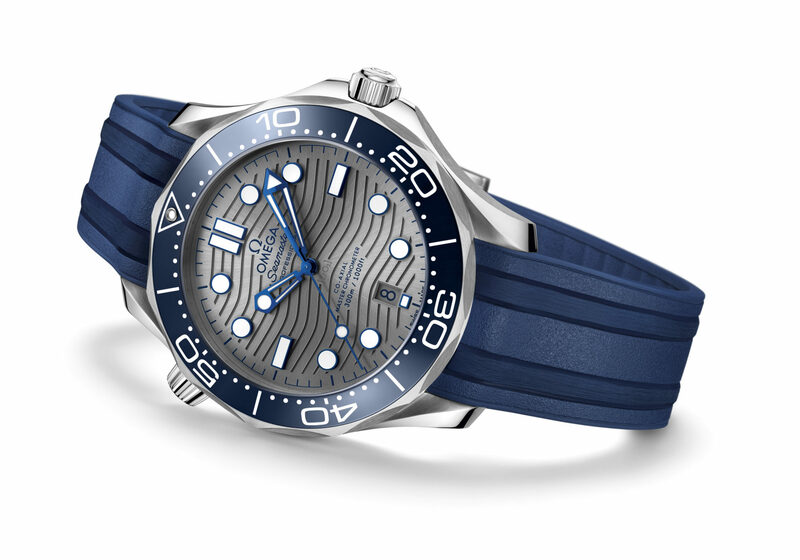 The first Seamaster Professional Diver was launched 25 years ago, an anniversary that is being marked with 14 models, including six in stainless steel and eight in a mix of stainless steel and gold. The dials are also made from polished ceramic and are available in black, blue or PVD chrome colour. Collectors will be happy to see that Omega has reintroduced the wavy pattern, now laser-engraved, that was a popular feature of the original design. The 42mm models of the Diver 300m family all house the Master Chronometer 8800. 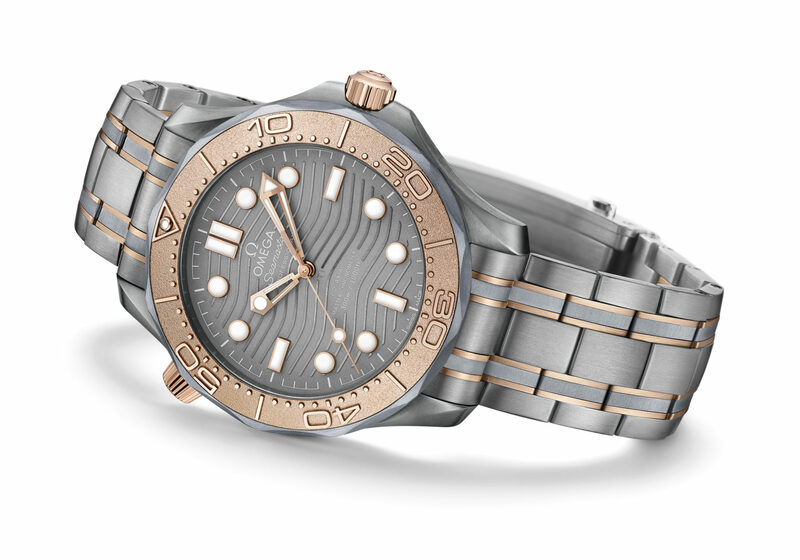 A limited edition of 2500 pieces in the collection is being forged in rose gold and titanium.